Finally in paperback: 'The most powerful and enduring words of the man who touched the conscience of the nation and the world.' ('The Kansas City Star'). 'A Testament of Hope' has sold more than 46,000 copies in hardcover. 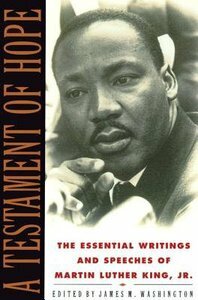 About "A Testament of Hope"
Conversation With Martin Luther King (1968).